From a distance, Baidu (NASDAQ:BIDU) looks almost absurdly cheap. Baidu stock trades at 15 times 2019 earnings per share estimates. Given that Baidu should grow revenue by at least 20% this year — and is expected to increase earnings at least 8% next year, even with increased investments in the business — the multiple assigned to BIDU stock appears far too low. So the bull case here is relatively simple. Investors can own the “Alphabet (NASDAQ:GOOGL,GOOG) of China” for 15 times earnings. The continued expansion of China’s middle class — and a population heading toward 1.4 billion — itself creates years’ worth of potential growth, at least. Chinese stocks have taken a hit this year, admittedly. But even slower economic growth is still growth, and the 40%+ decline in Baidu stock makes it one of the best “buy the dip” plays in that market. But there are real risks here — highlighted by the 6%+ drop in BIDU stock on Tuesday. Competitors are coming for Baidu’s advertising business. The company’s core business still is operating a search engine in a single-party Communist country. BIDU stock is cheap by the numbers. Looking closer, however, it’s cheap for a number of good reasons. Baidu’s growth stalled out back in 2016 amid a major scandal. A student died of cancer and accused Baidu of leading him to a substandard treatment that, unsurprisingly, failed. Users departed, the government investigated and growth in Baidu’s search business essentially ended (growing less than 1% that year). The company quickly apologized, but it’s possible the damage has been done. U.S. investors have seen what a loss of credibility can do to a stock given the long-running issues at Facebook (NASDAQ:FB). The obvious fear here is that Baidu’s apparent self-dealing will undo much of the work it’s done in the past two years to repair its image — and perhaps send users elsewhere. That news wasn’t the only reason Baidu stock fell this week. Analysts at Citigroup (NYSE:C) and Jefferies (NYSE:JEF) both downgraded the stock this week. Worries about macro weakness in China are a key factor, as slowing overall growth could lead advertisers to pull back. A slower market could be a significant problem for Baidu, given rising competition. Similar to how Amazon.com (NASDAQ:AMZN) is ramping its ad business in the U.S., Alibaba (NYSE:BABA) is doing the same in China. (It’s worth pointing out the mechanics are different; unlike Amazon, Alibaba doesn’t hold inventory and, thus, largely has been a marketing business from the start.) A myriad of other Chinese companies continue to target Baidu’s valuable turf. At the same time, ad prices appear to be falling — just as they have in the U.S. And so while Baidu’s revenue growth looks strong, it’s likely to decelerate. Given steadily increasing spending, margins actually are compressing. Combine that with the obvious risks of owning a Chinese stock during a trade war, and the case for BIDU stock gets thinner. To be sure, at least some of these risks are priced in, with BIDU threatening a three-year low. The company still owns over half of video service iQiyi (NASDAQ:IQ), a stake worth about $7 billion. Analysts have cut price targets — but the average fair value estimate still sits over $200. And it’s possible BIDU has another rally left. Chinese stocks have bounced so far in 2019, as investors look for value. The company remains the leader in search. That said, there seems to be more attractive China plays. IQ itself has an intriguing bull case, as I wrote in late November. Online retailer JD.com (NASDAQ:JD) has issues, but real potential. Beyond those two stocks, there literally are dozens of plays for investors who see China as a market full of opportunity rather than risk. In this context, it’s difficult to pound the table too forcefully for BIDU stock. For the stock to recover, the Chinese economy will have to cooperate. In that scenario, other stocks — without the company-specific worries facing Baidu — have cleaner, and more attractive, bull cases. 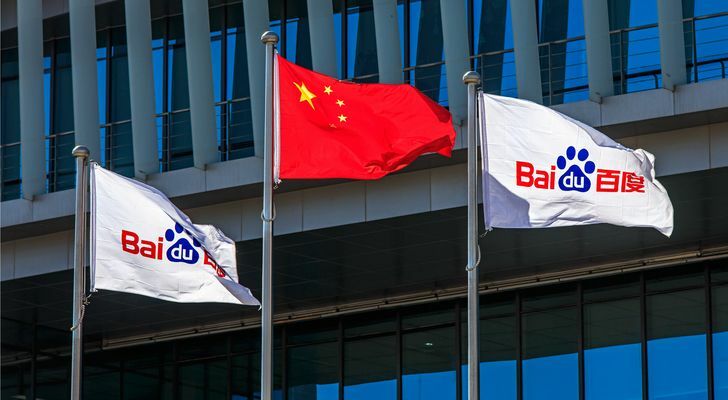 Article printed from InvestorPlace Media, https://investorplace.com/2019/01/plenty-reasons-baidu-stock-cheap/.